In the small town of Phu Chi Fa ("mountain pointing to the sky") in northern Thailand, every morning tourists flock to the top of the hill to watch the ”sea fog" sunrise over the jungles of Laos. Lining the path to the summit are local vendors as well as many local children dressed in traditional attire, who will let you take their photographs for 20 Baht (60 US cents). 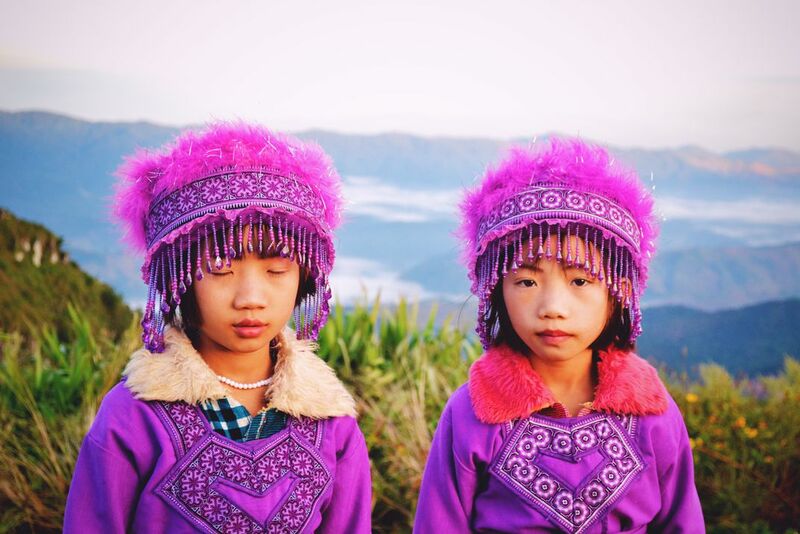 This photo was taken of two of the local children as people started to return back down the hill after the sun rose.